The Boston Licensing Board next week considers a request from the owner of the now shuttered Drinking Fountain on Washington Street to sell her liquor license to Pink Taco, a totally not suggestively named Los Angeles chain that plans to open up at 374 Congress St. Read more. The Fort Pointer reports on a meeting last night about the future of the locked and unusable old bridge, says the city and a consultant came ready with a study that claims the bridge has to be reopened for cars to jam up on either side rather than turning it into a pedestrian/bike only bridge, without giving skeptics access to the traffic data or other info on which that recommendation is based. George W. Carroll Jr. spotted this duo this morning on Congress Street, heading into the Seaport. 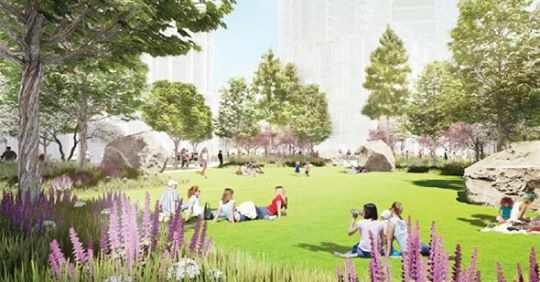 WS Development goes before the Boston Civic Design Commission tomorrow to show off the plans for the 1.5-acre park it's planning for the heart of its large Seaport Square development, in a new neighborhood that currently has little in the way of public amenities. Read more. As it has done in years past, the Boston City Council voted today to formally ask the state Legislature to let Boston Police patrol the South Boston Waterfront. Although Boston officers respond there in emergencies, legally, State Police have jurisdiction. Read more. A man who walked into a Convention Center hotel bar with his shirt covered in a red liquid one February night punched another patron hard enough to knock out one of his teeth and break his nose and the bone around one eye, police say. Read more. Greg Cook reports the latest in the Nicholas Nixon saga; adds the museum seems to have deleted an online forum about the controversy. State officials shut the Silver Line tunnel in the waterfront area today after "loose pieces of concrete" fell from the ceiling at the World Trade Center station onto the inbound platform. MassDOT blames "ongoing construction activity on Congress Street" right near the station. Read more. Angular rendering by Gensler (hard to see, but, yes, requisite flock of birds are in both images). 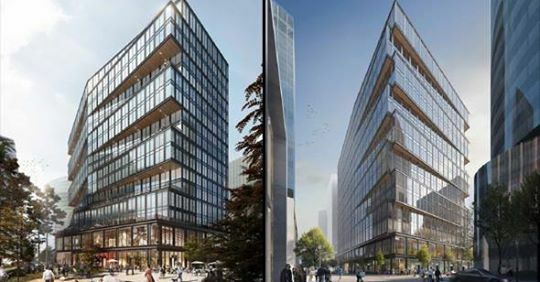 The developers of the Seaport Square project released renderings of what Amazon's proposed 17-story building would look like at last night's meeting of the Boston Civic Design Commission. Read more. WBUR reports the BPDA yesterday approved two measures to reduce taxes on two potential buildings in the Seaport Square complex - a $5-million break on a 17-story tower that would be filled mostly with Amazon offices and a second $5-million tax reduction on a second building next door that might be built for Amazon. Read more. Boston Restaurant Talk reports it will be opening somewhere in the Seaport/Fort Point area, rather than, say, next to the Golden Banana in Peabody. It's just a parody account for now, but see what life would be like with a gondola that would glide like a cloud over the traffic-choked streets of the Seaport, because obviously spending $100 million on a gondola would be way sexier make far more sense than using the money to figure out how to expand Silver Line service or just give everybody who works in the area a bicycle. The Fort Pointer forwards Dave Everett's video from Farnsworth Street at high tide today. From developer's filing: Prone to flooding. The new Amazon tower proposed for the Seaport - and a second one that it might have built next to it - would sit on a lot that is prone to flooding and is full of hazardous chemicals left over from its days as a rail yard. Read more. The Herald reports this is to bolster its existing workforce in the area, and is not tied to the company's search for the city that will give it the biggest tax breaks for its proposed second world headquarters. 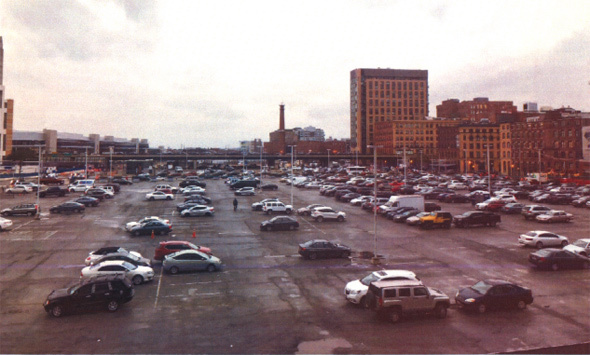 Increasing parking-meter fees from $1.25 to $3.75 an hour in the Back Bay last year meant faster turnover of spaces, letting more people use them - and reducing congestion on local roads by helping curb double parking, the mayor's office announced today. Read more.